We have been here, we have experienced passionate service , enjoyed all the services of Saro Maria Hotel. Our Guest reviews below. Easy access location from Airport. The hotel doesn’t feel like an airport hotel as its in a busy street in Addis Ababa but was very easy to get to from the airport with a transfer of about 10-15 minutes. The check in was problem free and we were very pleased with the quality of the room.The wifi was excellent, comfortable bed and clean and modern. 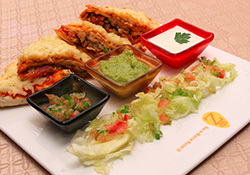 The restaurant is great. 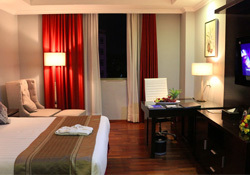 The rooms are spacious and beds comfortable. Very close to the airport (10min in the morning). Very good by international standards ! We spent 2 nights in this hotel last October and we were pleasantly surprised by the quality of the facilities and the service . I recently stayed at Saro-Maria visiting Addis with a large group. The rooms are nice and clean, the breakfast had everything you could wish for and the food in the restaurant was also good. The spa is absolutely amazing. Many of us had massages and came back with big smiles. It is absolutely world class. The staff is very friendly.. I am m very happy with your services. 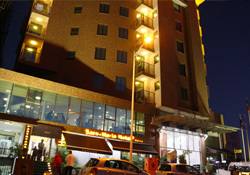 Impresive customer care, great service, Saro Maria is the ultimate business and leisure relaxation address in Addis Ababa .